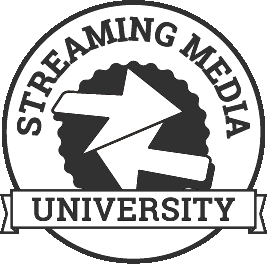 Live Streaming Summit may be registered for separately or is included when you register for an All Access or Streaming Media East Full 2-Day Conference Pass. For more information on registration please click here. It is unacceptable for online video to start buffering right before a game-winning play or an award winner is announced. The demands on OTT providers are increasing with the demand for live video. Having a robust content delivery network as the backbone of your streaming infrastructure is key. This group of providers and end users discusses delivery at scale to ensure consistent stream quality, which keeps the viewers happy and the valuable ad dollars safe. Behind every successful live stream is a team of experts troubleshooting issues and, ideally, anticipating problems before they even begin. From the producer managing the team to the audio engineer mixing for the audience, every role is key to the success of the show. This session features panelists representing key roles in a control room. Live streaming demands a special set of skills that can save even the biggest budget broadcast. This team takes you through steps to make your next live production a success. Every social platform has its own best practices for boosting and monetizing your content. With all of these different rules, it can be difficult to know which tips help and which tricks hurt. Targeted native and branded content advertising are standard for premium channels, but creative producers are exploiting the advantages of social platforms to create new income sources. These panelists share their successes and discuss the tools needed for monetizing in the social realm. Low latency is moving the needle for live interactivity. With the growth of live gaming and polling there is a greater need for a fast, reliable connection, and many companies are taking on the task of delivering it for their clients. With a growing market, how are they using this friendly competition to spur innovation? Come hear how low-latency video transport leaders are shaping the landscape for the interactivity of tomorrow. The future of live is here, now. During this session, CBSSports Digital will share how they deliver high-quality live streamed sports coverage to viewers by building an architecture that scales for growing audiences, exacting performance requirements, and increasing redundancy. Learn how to leverage the talent and the following of a social streamer. Whether going live on their own channel or promoting a product for an agency, social streamers are their own brand and voice. The eyes they bring from their accounts are an immediate return on your ad dollars. Knowing how an influencer aligns with your message is important. This panel of social and marketing professionals teaches you how to choose the best voice for your live stream. Does your client have a limited budget for an on-location show? It is now easier than ever to take the feed and switch it in your home studio. This means no travel time wasted and no flights expensed. The increase of video over IP is allowing for more streaming control rooms to be offsite. Big companies have been using remote systems for years, but now these technologies are attainable on a streaming scale. Learn how to make live streaming easier and more costeffective, by leveraging today’s remote solutions. You can teach an old dog new tricks. Many producers are putting a fresh face on traditional shows, and major platforms have released players that support 360° video and spurred its resurgence. Gaming tournaments now happen in completely virtual environments. Augmented reality is an opportunity for the audience to see the unexpected and heighten their experience. With 360°, virtual reality, and augmented reality, the viewers are a part of a new story that they help create. Find out how building a stream with these elements can increase viewership and extend view time.